The zoo claims he's just "growing too quickly." The bear is thin — painfully thin. His bones jut out through his mangy fur, and his face is long and gaunt. 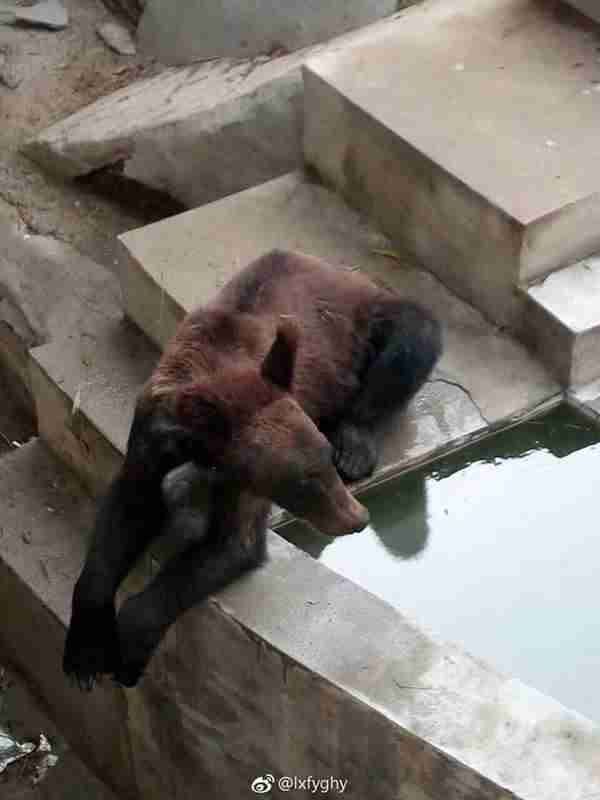 Last week, photographs of this emaciated brown bear emerged on Weibo, a Chinese social networking site, after a member of the public visited a zoo at Xinxiang People’s Park in the Henan province of Central China, where the bear currently resides. The photos went viral, sparking international outrage amongst animal lovers. In response, the zoo made a post on its official Weibo account, arguing that the bear was simply growing and shedding fur. 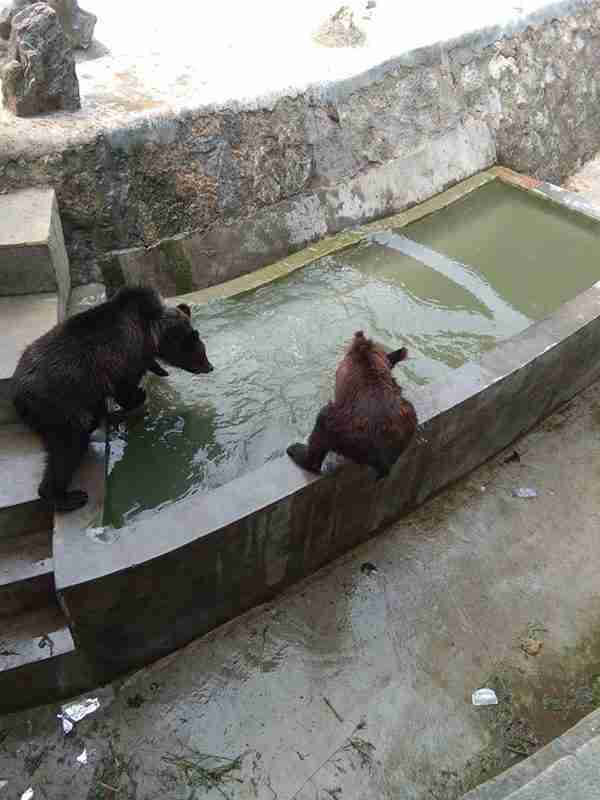 The zoo also said that the bear’s snout was extra long, and that the animal did receive regular medical checkups. While it is not clear how this particular zoo feeds its animals, Li noted that Chinese zoos often encourage visitors to feed the animals themselves. 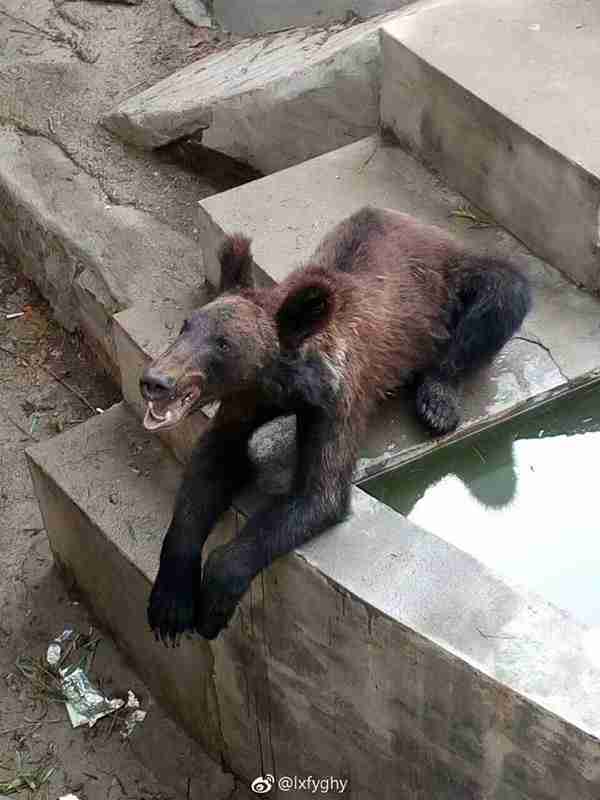 If this is happening, it could be negatively affecting the bear’s health. Besides the fact that the bear is skinny, he doesn’t live in the greatest environment. 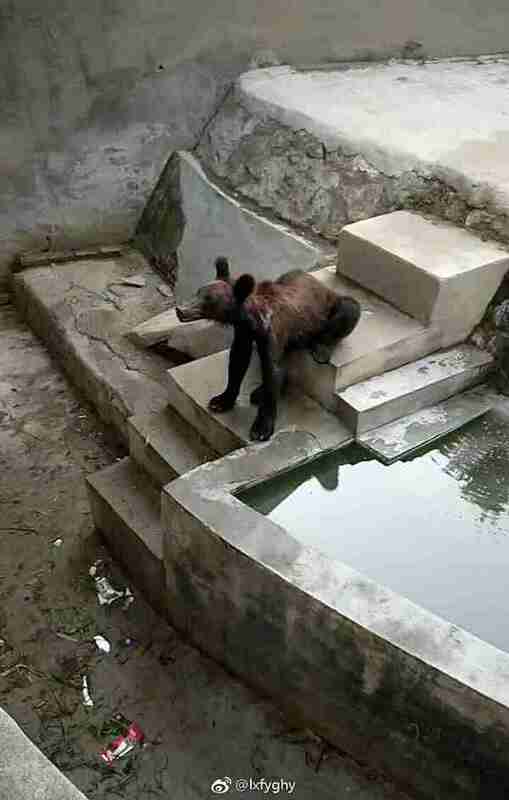 Based on the photographs, it looks like he lives inside a concrete and rock enclosure with only a small pool of water to drink from. Food wrappers and other trash litter the ground, which Li believes could be evidence that visitors feed the animals. Xinxiang People’s Park could not be reached for comment. While it’s not clear what will happen to the bear, Li believes the facility should be shut down, and that the bear should get urgent medical care and moved to a reputable sanctuary. 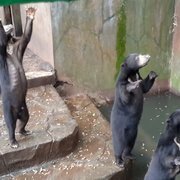 To help animals like the emaciated bear, you can make a donation to HSI or Animals Asia, which work to help animals kept in zoos and private homes across Asia.